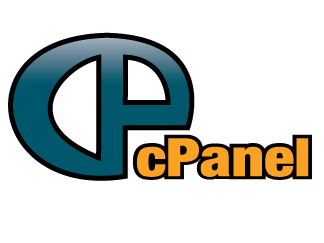 Why Cpanel is user friendly & how to tweak it for low memory consumption? cPanel is most popular control panel in the web hosting industry which is generally used on Linux hosting server to manage available resources for a website. The Cpanel control panel is renowned, because of its easy functionality and simplicity. The simple looking graphical user interface enables user to do more besides its main feature. This control panel enable you to handle your website efficiently and monitor it accurately. It is a control panel which has proven its suitability, simplicity of features, stability, security and premium functionality, which is why its most reliable and famous. a) User-friendly : When you log into cPanel, you can see all the applications listed under their respective category. You can easily find by looking at category and then individual application. b) Security : Cpanel is very secure control panel. For an example, on shared hosting server there are many shared hosting accounts and no individual user can access other user’s file or email or database from his Control panel. Each user access is restricted to their files only. c) Application Features : With one click you can start using the application. Example : Using Fantastico you can install various types of blogs,content management, forums, E-commerce carts etc in one click. d) Manageable : Any novice user can start working and manage his website using Cpanel. You can manage files, emails, database & stats from one interface. e) Compatibility – Cpanel is compatible with any browser available these days. Hosting with Cpanel control panel is affordable, reliable and secure because it offers great features for managing your website. At Crucial we provide Cpanel with Shared, Reseller and Linux VPS packages. We provide Cpanel for $15 per month and $19 per month with Fantastico On Linux VPS. CentOS 5/6.2 is the recommended operating system for Cpanel/WHM. I found many customer saying that their Linux VPS is running out of memory because of some cpanel processes are consuming it. So here I am writing some tweak settings that can be done in WHM to overcome this memory issue and it will help you to make your Linux VPS running faster. Spamd is memory resource intensive process. The best way to tweak this process is to install CPanel Addon Called ‘Spamdconf’. Do the steps mentioned below for installing and managing Spamdconf. Login to your WHM as root -> Navigate to Cpanel category -> click on Manage Plugins -> Look for ‘SpamdConf’ and select ‘Install and Keep Updated’ -> Click Save. After this refresh your WHM -> Navigate to Plugins Category -> Click on Spamd Startup Configuration -> Set Maximum Children to value 2 -> Then hit submit button. It will reduce your memory usage on the server. If you or any of your customers are not using mail listings in cPanel, then to disable Mailman. 3>Disable Tomcat on a VPS (high memory usage service). Then you will need to take out these lines from your httpd.conf and restart Apache service. If you are getting mail attack, catch all email account can use up all resources and disk storage. With a background that ranges from Systems Administrator (Linux & Windows), Support Desk Manager, through to running his own Technical Support firm; Vikram is a key member of our Sydney team and coordinates much of the activity on the support desk. Vikram is also a keen Linux devotee and enjoys learning about the latest developments across the hosting industry. Originally from Agra (India), he loves spending time with his wife and having a pint on a Friday afternoon with the rest of the team. Oh and no, he doesn’t like cricket.